We first met Adrian Webster through his agency, Gordon Poole, when we did some work for another of their clients, Karen Brady. 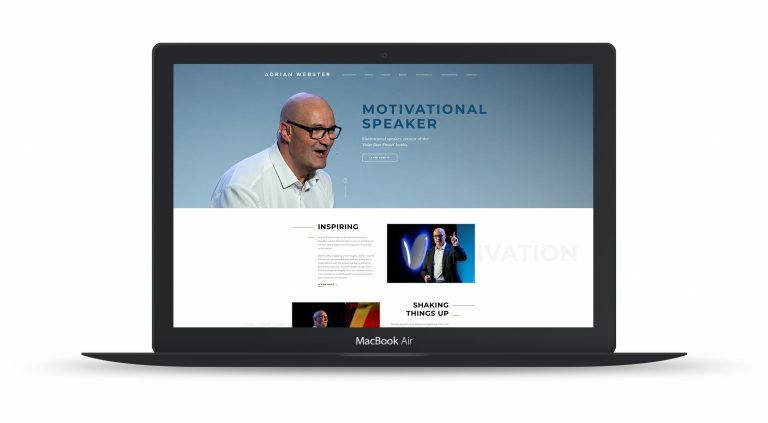 We are huge fans of Adrian’s funny, warm approach to motivational speaking, so were thrilled when he chose us to work on his new site. We designed and built a clean, uncluttered, bespoke solution that kept Adrian himself centre stage. There is space for testimonials from organisations like John Lewis and HSBC, videos of his talks and a blog that is easy for him to access and update himself. You can take a look at the new site here.